Definitely the BIGGEST news and what has consumed my last two weeks would be my computer troubles. We are still not sure what happened. Power surge or my pc shortened out and also fried my printer too. Either way my world was turned upside when last week. But, I am now the proud owner of a new computer, monitor and printer. This was my work setup so I was in a huge panic. It was a sleepless, lot of praying and pacing the floor week. Everything is back to normal now and I am back working. Praise GOD! And, in the middle of the computer problem craziness I have three holiday shows for my Doodle Bugs stationery show this past week. 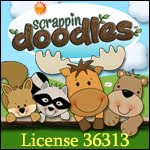 I have also listed some sale items on my Doodle Bugs Blog. And the last day to place a personalized order will be November 30th. I also had tons of work to do this week for two online classes I am taking. Thankfully, I did have my laptop through all the computer craziness. I am taking two “fast paced” 4 week classes. It was definitely NOT the best time to sign up for these. And, to be very, very honest.. I am a TERRIBLE student! Going back go school for any reason is not in my future. Both of these classes are for CEU credits to renew my license. My thoughts were it was better to do it online than to give up 2 weeks of my summer. And since this is my teaching blog.. I need to at least tell you something we have done this past week. These are the only pictures I have so let me show you our weekly afternoon math centers. and #5 is the best..
Bring on the much needed break! And can you believe that it will be December when we go back to school?!?! Sounds like a hectic week! I'm glad you got all the computer problems figure out. And, I LOVE the stationary. Your stuff is so awesome! I freaked when my flash drive got corrupted and I lost EVERYTHING, I can't imagine what you went through with your computer! I'm *hopefully* starting grad school in the Spring so that's what my desk will look like soon...wait, who am I kidding? It already looks like that! Good luck with your classes! Sorry to hear about your troubles, but thankful you were able to get your new computer! I actually just ordered a new laptop myself. Thanks for the chance to link up each week! It's crazy to me that it's almost December! I'm so happy for you that your computer troubles are solved. Happy Thanksgiving! Wow! You've been busy! I'm glad you got your computer issues fixed! That's super stressful! I haven't signed up to take my Master's because I know I will be a terrible student! LOL! Have a great break! I LOVE this linky idea! It's so fun to read about each others' lives; teaching and non-teaching stuff! Happy Holidays!